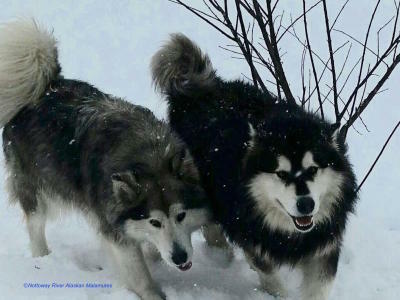 Alaskan Malamutes on the East Coast. We live on 15 acres in Capron, Virginia. 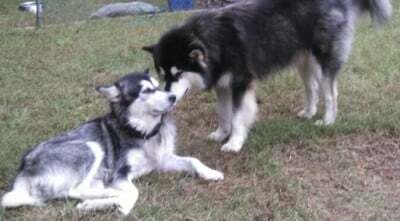 We have a very small breeding program since our malamutes are our beloved pets. 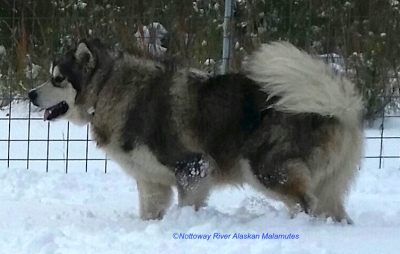 Nottoway Malamutes is not a kennel nor a business. We are a husband and wife team who love our malamutes and want to share this love with others. We occasionally breed puppies. We focus on temperament and quality. 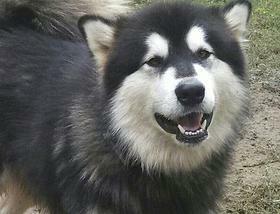 Our desire is to produce healthy, beautiful malamutes with sweet temperaments to make the perfect pets. Each one of our puppies are played with and socialized with children and other animals. We believe that good temperament is not only developed from heredity, but also taught and encouraged by love. 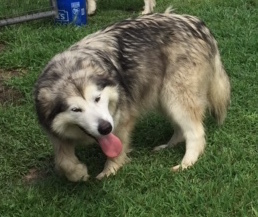 We love our malamutes and would love for you to meet them. Check out our page about our mals. 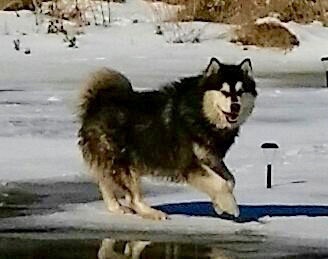 We are dedicated to helping you learn more about the breed and help you have a wonderful relationship with your malamute. 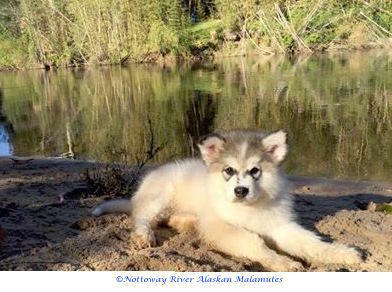 Nottoway River Alaskan Malamutes "Puppies for Sale"
love the snow in the north, but did you know they also love summer fun in the south? 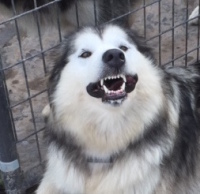 Alaskan Malamutes are so beautiful and have such unique personalities! to own. They are very loving and all have their own unique personalities. 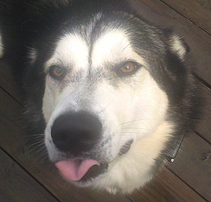 Malamutes are very affectionate creatures. They are pack animals and long to be a part of the family. They love affection and will show it to anyone willing to pet them. Their size and stature can be quite intimidating; though they do not tend to be good guard dogs because of their desire for affection from most anyone they meet.